As I promised, this month I would hopefully be posting a lot of stuff up to show progress after last months slow going. I have some hobby goals in mind this month as well as a 1 day tournament towards the end but I’ll discuss those in a future post. For now, let’s just focus on what I originally set out to do, paint my dark elves and show the internet how I was getting on. 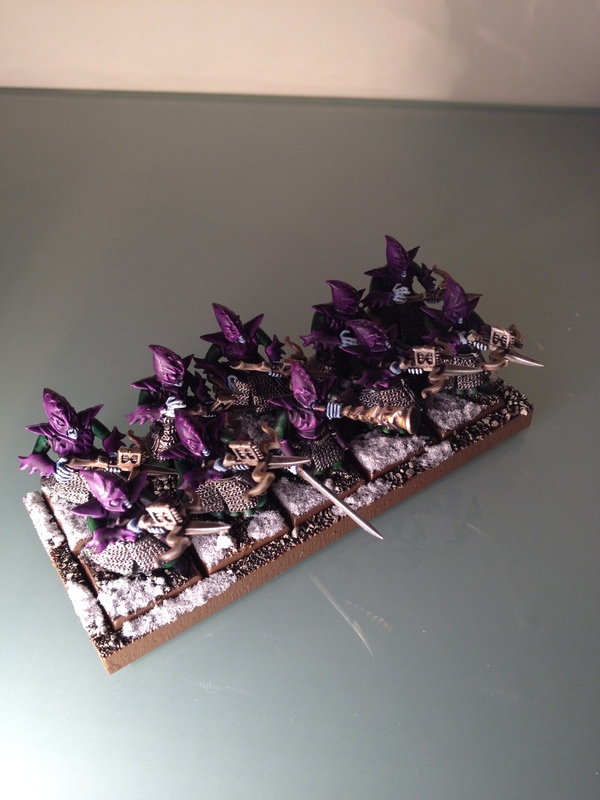 So this weekend I finally got round to finishing my armies first unit, a small repeater crossbow regiment. I am so happy to have finished my first unit, it has given me a lot of encouragement for pushing forward. I know it’s not the biggest unit in my army but at least its done. I was getting pretty fed up with painting the dark elf footsoldier models after doing a few spearmen and then these guys but the models are actually quite nice to paint. For an older plastic kit they have a lot of good definition and a decent amount of detail. I have had some feedback regarding the snow I use so I am going to try and improve this in the coming weeks. 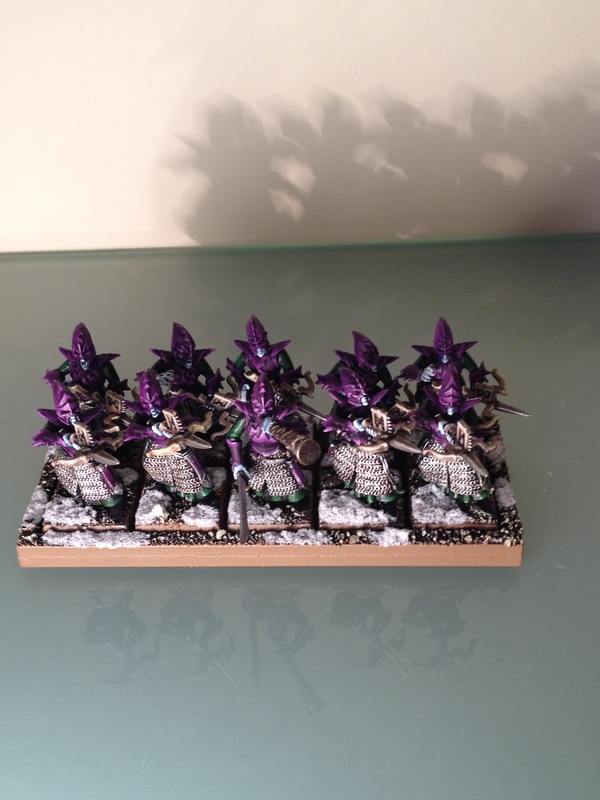 I am still using the GW snow but I think that with clever layering it can still be really effective. I hope you like my crossbowmen and any feedback is welcome. 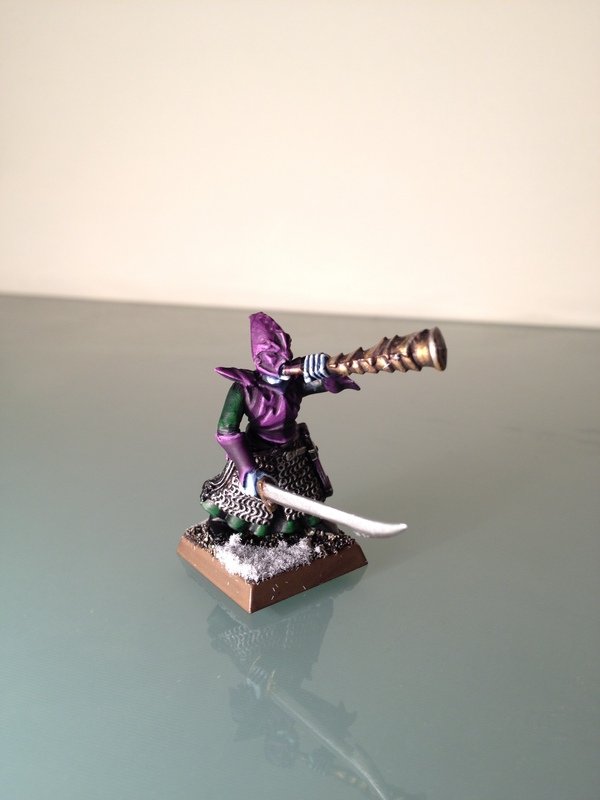 Next up I intend to post some pics of my sorceress that I showed previously primered and ready to paint. ~ by Evazorek on February 13, 2012.